There are so many foods out there that you can add to a type 2 diabetes diet. Personally, I am a big believer in adding foods that naturally control diabetes to your diet. And while I do feel that the medical community does a good job, I have found that most of the physicians that I have worked with over the years really don’t talk about natural diabetes cures as much. A big reason is because they are so busy that it is often hard to find the extra time necessary to research and learn more about all of this stuff. Plus, physicians don’t get any training in herbal or natural medicine. This is one reason why I feel it is important that you do your own research. There’s so much information available to you and I would prefer something natural than a drug any day. If I can help it. So in doing your own research, one herb that you might want to think about giving a closer look is Fenugreek. Fenugreek has been found to be effective at treating diabetes. In clinical trials conducted in India, this herb was found to have 5 compounds that have been shown to significantly lower blood sugar in people with diabetes. Fenugreek is a plant that is used as a herb in the leaf form, and as a spice in the seed form, and the largest producing country of it in the world is India. 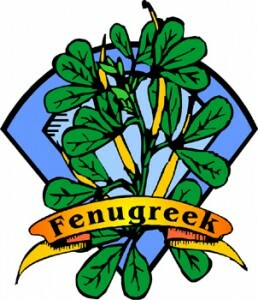 Fenugreek contains mucilage. Mucilage is a thick, gluey substance made by most plants that has been found to help in seed germination, food reserve, and water storage in plants. Fenugreek has a much greater amount of mucilage than most other plants. This mucilage is also a soluble fiber that in humans absorbs water and provides relief from diarrhea and constipation. Humans can not digest fibers. In addition, the fenugreek seeds are 55% fiber, so they slow down the absorption rate of glucose, which greatly enhances the herb’s ability to lower blood sugar, reduce total cholesterol and triglycerides. You can try fenugreek out by adding it to your foods as a spice. You can find it in the fresh form in Indian grocery stores in the leaves. The leaves have been eaten in different parts of the world as part of a normal diet and have been shown to be effective at reducing blood sugar. In studies, 5 grams of powdered fenugreek seed (as a 2.5 gram capsule twice per day) resulted in significantly lower blood sugar in diabetics with type 2 diabetes in both fasting blood sugars and post-prandial blood sugars (after a meal). Either way, whether you try the leaves or the seeds, you have to see what is right for your as different things affect each person differently. NOTE: As with most herbs there is a risk that they can be bad for you so you’ll want to consult with your physician. Some herbs have been shown to cause liver damage which could be potentially dangerous. Prior to using any of this dietary information, please consult with your physician. There are many circumstances and conditions out there and no diet is right for everyone. Is Gymnema Sylvestre One of the Best Herbs for Diabetes?